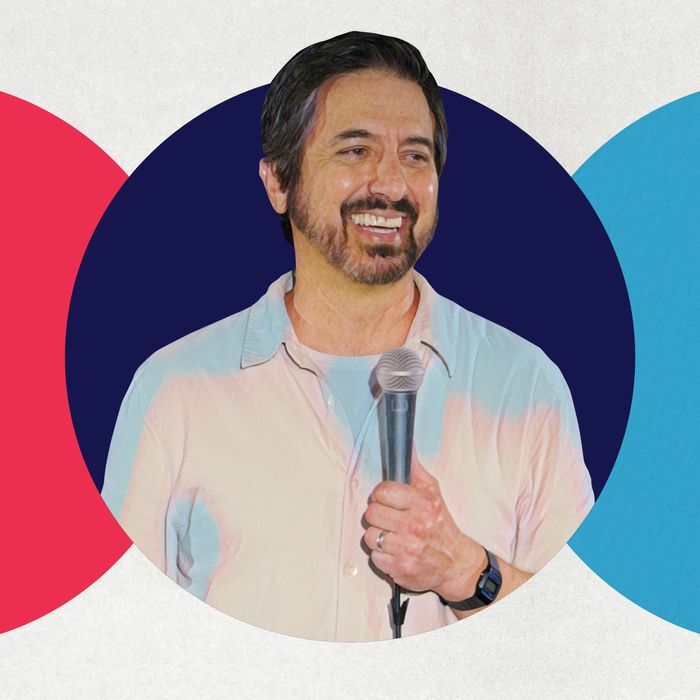 The credits of every episode of Everybody Loves Raymond would note that the show is based on Ray Romano’s material. See, years before the show’s premiere, Romano had made a name for himself for his own brand of family-man stand-up comedy. But, here’s the thing about kids: You get older; they also get older. Unsurprisingly, on Right Here, Around the Corner — Romano’s first special in nearly a quarter century, which premiered on Netflix last week and is made up of two back-to-back drop-in sets at New York City clubs — a highlight is the legend’s material on his kids who are now legally allowed to drive. One joke in particular focuses on what one of his sons does with this newfound freedom — namely run out of gas in the middle of the freeway. The result feels both like one of Romano’s classic jokes and wholly new. This joke is the subject of this week’s episode of Good One, Vulture Comedy’s podcast about jokes and the people who tell them. Listen to the episode and read a short excerpt of the discussion below. Tune in to Good One every Monday on Apple Podcasts, Spotify, or wherever you get your podcasts. So, this really happened: Your son ran out of gas on the freeway, and you tried to deal with it on the phone. Can you walk me through the actual call? I was at my office when my wife called and said, “Joe’s stuck in the middle of the 101. He’s out of gas.” Curses were exchanged. She goes, “Just call him.” So I call him, frustrated and worried. I had so many questions, and there was no urgency in his voice. Just, “Yeah, Dad.” That exact exchange, word for word, happened. “What’s the traffic like?” And his response: “Behind me it’s bad, but it’s moving in front of me.” He even said more that’s not in the bit: “These people should thank me because I’m clearing up the traffic.” He thinks they’re ultimately getting home faster. Once the crisis ended, when did you start thinking, Oh, this is material? I didn’t want to let him know it, but I knew immediately that the line was hysterical. How and where did you work out the bit? If I’m gonna work in Vegas or do a charity gig and I wanna get the rust off, I go to Hermosa Beach Comedy and Magic Club. They let me pop on. I like to write down bullet points, like, I have to get to that line; I wanna figure out an ending to it. Before I would do it in my house, in the mirror, whatever. Now I do it out loud in the car on the way to the club. I usually go with another comic, a buddy of mine. He drives, I take my paper out, and I just keep saying it till something clicks. And so, on the way to the club, I’m trying to figure out a beginning to it. I finally got to, Oh, this kid shouldn’t drive. And just in the car, I came up with the part about my wife saying, “Maybe he’ll become an astronaut.” Which is fabricated. I make her sound a little like Edith Bunker. Does your wife have that perspective? You set up the point of the bit very quickly. “Why do we give 16-year-olds licenses? My son doesn’t care about anything.” What was the process of creating the setup? It just becomes, How do I get into this bit? It’s that simple: I want to talk about Joe running out of gas. What’s an organic way to get into that? I don’t think, What’s an issue I can be talking about? And I know where it’s gonna go. But I say stuff before about how slacker he is. Like when he says, “I haven’t showered in four days.” The new one in my act is, “I can’t tell if he’s the stupidest kid in the world or the deepest.” My wife wants them to move out, but then I’m gonna run out of material. You were doing stand-up before you were married and especially before you had kids. But once they were born and you wrote those first jokes, did it feel like a breakthrough? Yeah, a direction. You know, first it was being married and talking about that, but I think the harried parent kind of got to another level for me. What is it like for your kids, who have always known what they do can be part of your act? In the beginning, they weren’t as conscious of the stand-up as they were of the TV show. Yeah, I mean, look, it’s a weird way to come up. I don’t want to get serious here, but when Raymond ended, I took it hard, but my kids took it even harder. The twins were 3 or 4 when it started, and they were 12 when it ended. That was their world, and there was a lot of anxiety for them. It was rough. I’m the only one that this has happened to; everything else is everyday life for them. I feel guilty — but they have a trampoline and a theater. How do you feel about the fact that you can’t just get onstage at a club without an audience knowing who you are? That’s what I miss. It sounds stupid to say you miss this because this was the hard part. Nobody has ever seen you, they paid their covers, here it is. I don’t know who you are, but I’m going to find out your persona when you start speaking. It’s, Make me laugh; make me laugh. You have to win them over. That can never happen again. As I’m getting older now, people maybe have heard of me or have seen me peripherally somewhere, but they don’t know; they’re not fans of mine. And that was part of the reason I wanted to do it unannounced in the club.